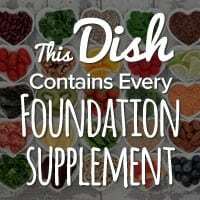 It’s not easy to find one dish that contains every single Foundation Supplement. That’s why today’s recipe is really special – not only does it contain every Foundation Supplement as listed in the Osteoporosis Reversal Program, but it’s absolutely delicious too! So I can’t wait to share this recipe with you today, and explore the bone-rejuvenating supplements it offers. Why Are Foundation Supplements So Important? Foundation Supplements are key nutrients that your bones need in order to be restored and strengthened. In other words, they are the building blocks of your bones. While many supplements can be found in multivitamin pills, obtaining as many of these vital nutrients as possible from foods is essential, and here’s why. The nutrients found in food are bioavailable to the body because they are in their natural, organic state rather than processed into a synthetic form. When you think about it, plants are the ones designed to take the minerals directly from the soil in their inorganic state. When a plant’s roots take up minerals from the soil, the particles bond to other substances in the plants, and we then get the minerals when we eat them. Essentially, once taken up into the plant, the minerals become food. In their inorganic state in the earth, these minerals are in a non-food state (in other words, rocks). They are chemically different than the minerals found in plants. Regardless of how far back in history you look, eating rocks was never part of the human diet! Unfortunately, farming practices have taken important minerals out of the soil, so plants grown in depleted soil have less nutrient value. That is why additional supplementation is necessary. A good plan of action is to combine a quality multivitamin with plenty of Foundation Supplements found in foods. And today’s dish contains every single one of them, so it’s a great way for you to get food-based supplementation. In a medium-sized bowl, combine all the ingredients except for the sunflower seeds and almonds. Use your favorite salad dressing, toss, and sprinkle the nuts and seeds over the top. Silicon is in the Romaine lettuce, cucumbers, and spinach. 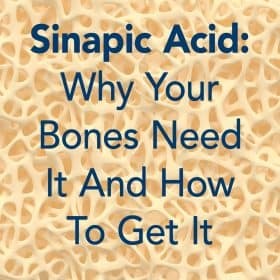 This trace mineral affects collagen turnover and works with calcium in the process of bone mineralization. Magnesium, found in spinach, has an enormous number of roles in the body. It acts in synergy with calcium in building bone, and it also regulates the parathyroid gland (the primary organ that controls bone mineralization). Manganese is found in the spinach and strawberries in this salad. Your body needs manganese to synthesize connective tissue within bone and cartilage. Manganese is one of a trio of minerals that make up superoxide dismutase, an enzymatic system that acts as an antioxidant in the body. Vitamin K is a fat-soluble vitamin that works with another fat-soluble vitamin, Vitamin D, to regulate osteoblast production. Vitamin K comes in two types: phylloquinones (K1, found in plants) and menaquinones (K2, manufactured by intestinal flora). You’ll find Vitamin K in this salad’s spinach and parsley. Vitamin C is both an antioxidant and a vitamin, and the salmon salad’s cantaloupe and parsley are chock-full of it, and so are the strawberries. Vitamin C helps maintain bones and cartilage, and protects the body against the ravages of free radical damage. Boron is another trace mineral with important roles in metabolism and Vitamin D activity. It actually decreases the amount of calcium and magnesium excreted from the body. The avocado and almonds in this salad contain boron. B-Complex Vitamins are also found in avocado. B12 in particular is implicated in bone health – a 2005 study found low B12 levels associated with increased fracture rates.1 B12 has many other roles in the body, too, including the manufacture of blood cells and the repair of DNA. Copper is in the sunflower seeds and almonds that give this salad a nice crunch. Copper works with zinc and manganese to form superoxide dismutase, as mentioned earlier. Copper is actually found in every tissue of the body, and that of course includes bones. Zinc is the third part of the enzymatic trio, this trace mineral works to regulate bone turnover. It is also necessary for alkaline phosphatase, an enzyme involved in bone mineralization, to function properly. In this recipe, zinc is found in the almonds. Calcium is “the” mineral that everyone associates with bone health. It is certainly important, and the almonds in the Salmon Salad add a plant-based calcium boost. Vitamin D is hard to find in foods. But salmon contains it. Vitamin D, also known as cholecalciferol, is crucial for building and rejuvenating bone, and it helps regulate calcium levels. I created the Osteoporosis Reversal Program and its companion recipe book Bone Appétit to put you in control of your bone health. And by showing you the tools you need to create your own bone-rejuvenating meals, you’ll know exactly how to “feed” your bones. The Program and Bone Appétit are like roadmaps toward healthy bones and the reversal of osteopenia and osteoporosis. Of course, you can still eat out while on the Program. But preparing bone-renewing meals at home is a cinch with Bone Appétit, so you’ll never feel that cooking for your bones is a burden. In fact, one of my favorite features of this colorful cookbook is the Quick Picks. 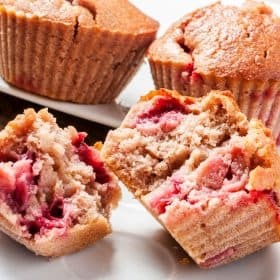 They are super-fast recipes that can be prepared in 20 minutes or less, and you’ll find them at the end of every section, from main dishes to desserts. And to give you as many tools as possible to make your journey to bone health fun, interesting, and even more effective, Bone Appétit includes three bonuses: Calcilicious, a collection of extra calcium-rich recipes; the 30 Day Meal Planner to help you plan a month of bone-renewing meals; and Blender Magic, a delicious and nutritious collection of bone-building smoothie recipes. I’d love for you to have everything you need to have a wonderful, joyous journey to healthier bones. So if you didn’t get it yet, I invite you to check out Bone Appétit and discover how easy preparing a bone-healthy diet can be. Ok zucchini for D carrots for calcium. Most Salmon in stores is farm raised. None of us should be having melons mixed with any foods. Have it FIRST then proceed with the rest without salmon. All fruits should be first before any cooked foods. Cooked foods take longer to digest. If you buy organic the soil is ok. We juice instead of supplements.our juice goes right into the blood stream. By pass digestion. Hi, Vivian, I love Salmón and I eat it very often, specially, the Wild salmon, but I eat it alone with vegetables, not together, with fruits. It is my understanding that mushrooms are a good natural source of Vitamin D; and yet you did not mention it when you said, “Vitamin D is hard to find in foods. But salmon contains it. Vitamin D, also known as cholecalciferol, is crucial for building and rejuvenating bone, and it helps regulate calcium levels.” Have I been misled? Oyster mushrooms are grown in straw and are great source of D. I mention zucchini but mushroom would be a great sub for fish. Vivian, you are absolutely wonderful in sharing all your knowledge and expertise in saving everybody’s bones. I connected with your programme, have all your information and working as a medical typist, read all the information you provide and I am putting Densercise into practice daily. Thank you so much for helping me personally. Thank you for this easy recipe, Vivian. May I ask you what the alkaline-acid percentage ratio is? I so appreciate and need the reminding! 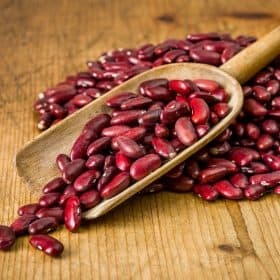 Love the idea of getting all the nutrients, but this combination of foods is very difficult to digest together, and for those of us with chronic digestive issues would be a recipe for pain and bloating. Need to consider the whole health picture in deciding what to eat – not just what’s good for the bones! I love your information and your exercises, but hope you will have a whole body view of nutrition in future recipes. Grace, you are absolutely right about the combination of this recipe; I thought I was the only one that noticed. If you need help with your digestive problems, I recommend that you visit Sherry Brescia’s website, http://www.holisticblends.com. I have been following her Great Taste No Pain health system since its inception in 2007 and I haven’t looked back since. Her program helps you combine the foods so as to maintain a healthy digestive system. Plus she gives you information on a variety of subjects concerning your health. Check out her website to see if this way of eating is for you. Many blessings. Avocados may contain some B vitamins but they do not contain B12. Avocados do contain other B-complex vitamins, namely folate, pantothenic acid, and Vitamin B6. Like B12, these B Vitamins are also important for bone health. Vivian – A tasty sounding treat. Unfortunately the mix is contrary to food combination advice for efficient digestion and good colon health. For example, melons should be eaten alone and away from other meals; acid fruits and protein interfere with digestion. You are absolutely right. Check out my reply to Grace above. Hi Vivian – do you have a vegan option recipe? Looks like the only purpose of the salmon in this recipe is for the vitamin D. If you’re taking a vitamin D anyway, you could substitute a plant based protein like beans for the salmon? Thank you for this delicious, easy to prepare recipe and for supplying the nutritional justification for it. I wonder if you might very kindly suggest an alternative to the salmon for we vegetarians? Sorry to be awkward but I am sure there are some things I can chew even if they may not be so easy to prepare or buy. Great question! You can replace the salmon with Portabello or Maitake mushrooms. Both contain good levels of naturally-occurring Vitamin D. And if you eat eggs, you can also add two hard-boiled eggs to the salad. Thank you so much for that extra tip! Another worry crossed off my list.